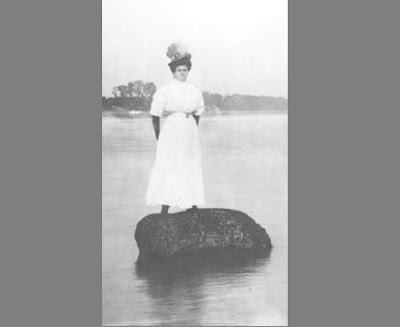 For many years, a rock protruding from the middle of the Ohio River along Greenup County was a popular spot for swimmers and waders to venture out to and have their picture taken. 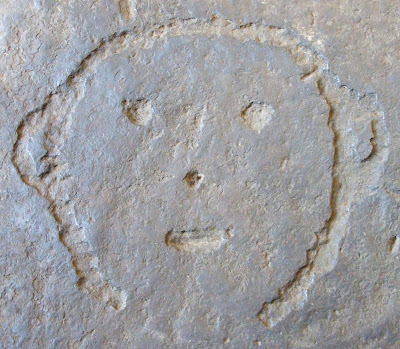 The rock also became well-known for a petroglyph of an oddly simplistic face. It has been theorized that the face was carved by an Native American artist as a petroglyph, a boatman as a river gauge, or was carved by John Book from Portsmouth, Ohio who later fought in the Battle of Shiloh. Other theories include that a band of robbers used it to mark their nearby stash and that a quarry man carved the face with a metal device. Seeking to preserve the rock from eventual destruction from erosion or defacement, Ohio historian Steve Shaffer took it upon himself to remove the rock from the river and haul it over to Ohio, where it was placed on display. Under an agreed order dismissing a suit filed in federal court, the city of Portsmouth, Ohio, will relinquish control of the rock and permit it to be returned to Kentucky. The so-called Indian Head Rock will be taken to a Greenup County garage until a permanent home can be found and money can be identified to put it on display for public viewing, Greenup County Judge-Executive Robert Carpenter said in a release from the Kentucky Heritage Council.